In 2012, the Fuel Efficiency Training program was introduced in which 60 pilots served as “Fuel Coaches" to pass on their knowledge to around 280 pilots, on “Fuel Efficiency Flights". These flights placed emphasis on the use of the GPU instead of the APU, when parked at the gate; Continuous Descent Approaches, and Single Engine Taxi. These save not only fuel, but cut maintenance related bills due to reduced system wear. 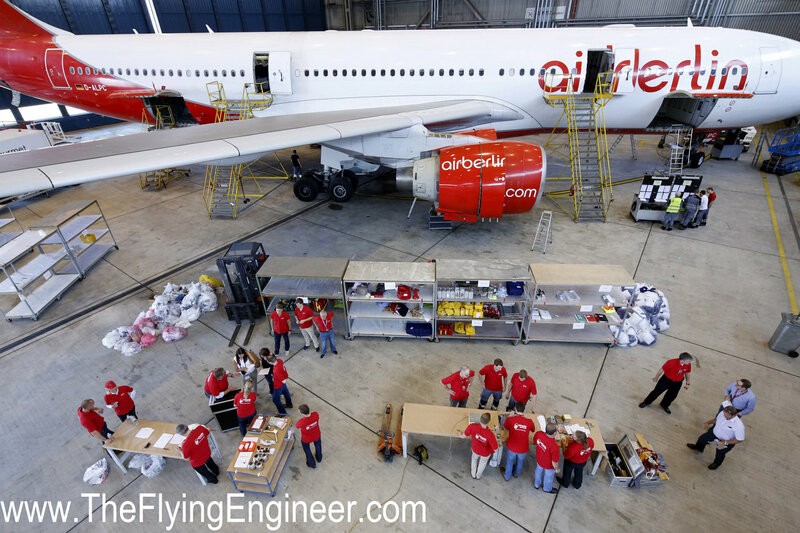 In its latest drive, “Mission Clear Out", Air Berlin removed all non-fixed items from an Airbus A330: D-ALPC, to weigh and identify those that were essential, non-essential, and those that could be replaced with something lighter. For example, the Quick Reference handbook is essential, but a hard copy of the manual does not need to be carried since it is already available in digital form on the computer in the cockpit. “This project has demonstrated that Airberlin is already very well positioned in terms of eco-efficient flying, since only a few items were found that were non-essential. Nonetheless, the expense has paid dividends and reduced annual CO2 emissions per aircraft on long-haul routes by about eight tonnes, which is equivalent to 2.5 tonnes of fuel," said Christian Bodemann, Head of Cabin Maintenance at Airberlin technik and the project manager of Clear Out. Recently, Airberlin received the “Silver Eco-Airline of the Year" award, given as part of the Eco-Aviation awards, by the American aviation magazine Air Transport World, in recognition of its commitment in the area of eco-efficiency.